Nothing evokes more terror in a guy than those two little words. We see it all the time at Scott’s Custom Jewelers. That look of bewilderment. It’s not the “I do’s” that scare them. It’s trying to understand all of those letters and numbers that are supposed to make diamond engagement ring buying sooo easy. SI1, J-K, cushion cut, 1.50ct? It’s traumatic. In reality, if you put five women in a line, all with the same color hair, same height, same weight and same measurements, you would still be able to tell them apart. Those numbers are simply diamond criteria to help guide you when you select your diamond. Heck, you can tell the Rockette’s apart and they’re supposed to match! So, let’s begin with a rundown of the 4C’s of diamond buying, in lay terms. Color: Diamonds are graded by their color against a white background UPSIDEDOWN. That’s right, diamond graders turn the stones so the point is facing up and judge the color. That means that sometimes, a diamond can actually look whiter when it’s turned over. We say it “tops up whiter than it is”. Jewelers are so clever with words. The letters associated with diamond color go from D-Z. You and I are never going to see a perfect D flawless diamond in a regular jewelry store. And Z color? Well, those turn into diamond drill bits at my dad’s machine shop. Usually, color in the D-H range looks good in a white gold or platinum engagement ring. If you prefer a yellow gold band, then you can go for the lower ï»¿colors. It’s totally an individual preference. Cut: The next diamond characteristic is the cut of the stone. And by cut, diamond graders don’t mean shape (i.e. round, princess, etc.). Cut actually refers to proportion. Cutting diamonds is an art, that’s for sure. In the “olden days”, diamonds were cut entirely by hand. The master cutters would examine a piece of rough diamond and map out how they would divide it up into sellable finished diamonds. And I think my job is hard! Now cutters use a combination of hand and laser cutting to get the job done. Each shape of diamond has a proportion considered excellent. The ideal cut in a round diamond is such that when light enters into the top of the stone, it bounces around and shoots right back up at you. None of the light will “leak” out of the sides. Cut is probably the most important features in a diamond. A poorly cut stone tends to look lifeless, or dark. Clarity: Diamond clarity refers to how many imperfections, or inclusions are inside the actual diamond crystal. It’s a count of the diamond’s freckles or birthmarks. Some diamonds have very obvious inclusions – you can see them without any magnification. Other stones have a lot of inclusions, but they’re so tiny, you can’t see them without a jeweler’s loop (like those cute little eyepieces like Colonial Klink wore on Hogan’s Heros)ï»¿. Diamond clarity is where many people throw in the towel. And I admit, it’s confusing when we refer to SI1 or VVS. That’s when you just have to trust your own eyes. Can you see “floaters”? If you can, do they bother you? Can they be covered up in the mounting? All very valid questions – and ones that we at Scott’s Custom Jewelers always will help you with. Carat: Last but not least is carat, or how much the diamond weighs. We jewelers are a funny bunch. We use the term carat with both diamonds and gold. BUT, carat with a “c” is diamond and gemstone weight, while karat with a “k” is all about gold percentages. Nothing like keeping the public on it’s toes, huh! Diamonds are on the points system, kind of like Weight Watchers. The more points, the bigger the stone. 100 points equals 1.00ct. So, 50 points is a 1/2 carat, etc. You get the point (ha!). Here’s the deal. It really isn’t that hard to buy a diamond, as long as you use the 4Cs as a guide, not the Bible. In the end, you really need to look at several diamonds side-by-side to compare them and really seem their attributes. And about those certifications. Different labs grade differently, just like different teachers are harder than others in grading. I repeat: YOU MUST COMPARE DIAMONDS, YOURSELF, SIDE BY SIDE. Trust your own eyes! Not to scare you, but there are a lot of other details about diamond buying that I haven’t even touched on. Fluorescence, graining, naturals and origin. Yikes! This is just a guide to help you get started. That’s why buying a diamond from the internet isn’t really a good idea. Unless you have a huge limit on your credit card, ordering three or four diamonds to compare is not an option. At Scott’s we’re able to shop for the diamond FOR you. 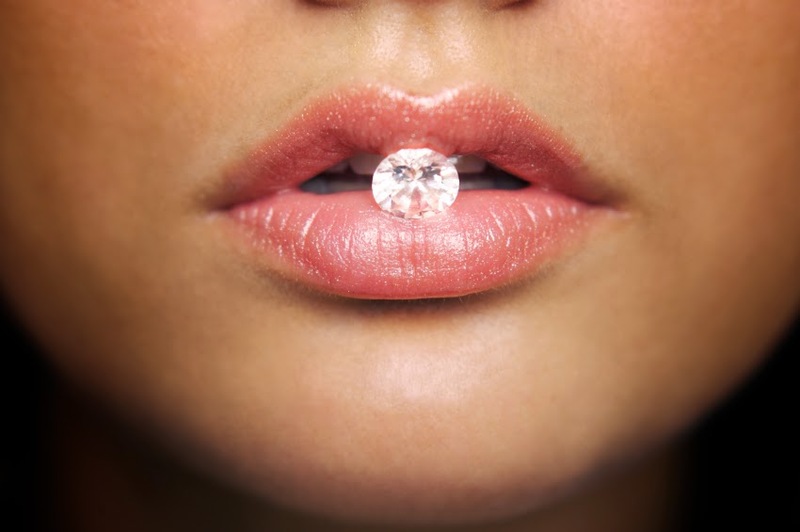 We find out what you (or her) would like, give you a ball park on what to expect price-wise, then bring in several diamonds that fit your qualifications from the same diamond cutters that grandpa used. That gives you the ability to compare and make the best decision.